I came across an article recently from the ABA Journal discussing how personal injury lawyers are turning to neuroscience to back claims of chronic pain in their clients. Chronic pain is often defined as any pain lasting more than 12 weeks; however, there is no test that can measure or pinpoint the location of pain with any precision. Common chronic pain areas include headaches, low back pain, cancer pain, arthritis pain, neurogenic pain, and psychogenic (psychological) pain. Many different factors could be the cause for chronic pain. 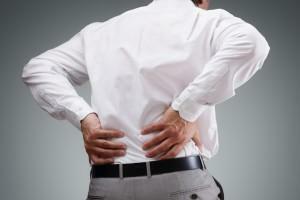 Most pain that occurs is defined as acute pain, which is a sudden or sharp pain. We all have felt that type of pain at one point in our lives. However, chronic pain lingers and persists, unlike acute pain. Some instances of chronic pain may be related to certain diseases like rheumatoid arthritis or fibromyalgia. However, in some instances, the source of choric pain can be linked to very intricate and mysterious reason. As a personal injury attorney, I see clients who have sustained injuries from an auto accident, a workplace injury, a slip and fall, and many others types of incidents. And in fact, many clients’ pain continues after the incident. As mentioned above, there is no precise testing for chronic pain. Pain is subjective after all. On a pain scale from 1 to 10, your 5 may be my 9. However, personal injury attorneys are beginning to seek out neuroscientists to help them prove that their clients are suffering from chronic pain. The ABA Journal article mentions how one lawyer looked to functional magnetic resonance imagining, or fMRI, to help his client’s case. Functional magnetic resonance imaging (fMRI) is used to measure and map activity in the brain by detecting the flow of blood. The “traditional” MRI maps the brain’s structure, an fMRI is intended to map brain activity, and in essence, brain function. According to the UC San Diego School of Medicine, “blood flow to an area of the brain is remarkably sensitive to changes in neural activity.” This in turn, “makes it possible to map changes in activity associated with a wide range of motor, sensory and cognitive tasks.” So in relation to chronic pain, researchers are using fMRI to test theories that may help to find locations in the brain that become active with pain. Of course, the other side got an expert to refute the neuroscientist’s findings. But in the end, the case settled for $800,000. Clearly, as science involving the brain continues to expand, it will be a very valuable tool in personal injury cases, especially those concerning chronic pain. The research may not all be there yet, but brain scans are going to become more common in the courtroom, and thus, effect a lot of plaintiffs’ cases.